Made of sturdy, vegatable-tanned leather, Noska Belt bag is designed to develop an individuality through daily use and become your essential companion. 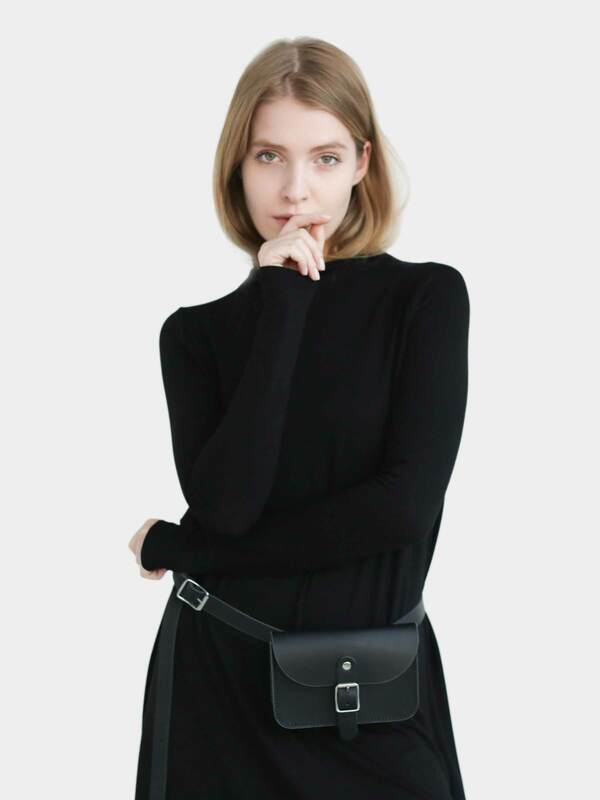 Carefully handcrafted in Poland, this unique bag with adjustable leather belt and Noska imprint at the front, will fit a variety of small objects you carry with you daily. The inside of the bag is left exposed to show the natural beauty of the leather which will naturally soften over time and give your bag unique character. Noska founders Julia and Bartek believe that things we use daily should possess perfect combination of function and style. They work with skilled craftspeople in Poznań, Poland to produce bags and backpacks made of vegetable-tanned natural leather and cotton. The fabrics and the original printing used are finished according to the standards of OEKO-TEX® Standard 100 – Class I (the highest one, textile materials that can be used by children). As these materials form a unique patina and develop individuality through daily use, they become even more beautiful with the passage of time. Made of sturdy, vegatable-tanned leather, Noska Belt bag is designed to develop an individuality through daily use and become your essential companion. 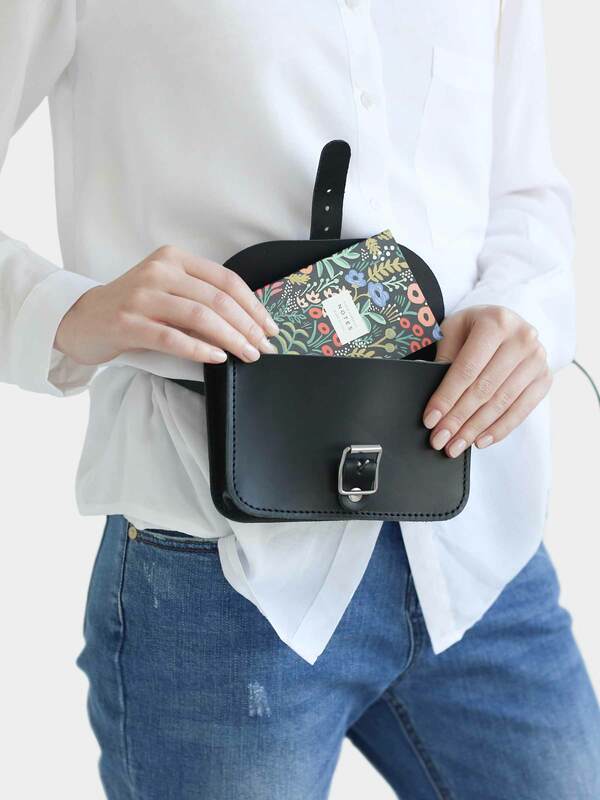 Carefully handcrafted in Poland, this unique bag with adjustable leather belt and Noska imprint at the front, will fit a variety of small objects you carry with you daily. The inside of the bag is left exposed to show the natural beauty of the leather which will naturally soften over time. Leather colours naturally change and darken over time. With the passage of time your belt bag will develop a distinct and unique character. This item is made-to-order. Estimated delivery time is up to 7 days.